Arnold has taken another shot at Trump after the latest poll from research firm Gallup showed the President's job approval rating had fallen to a new low. Arnold Schwarzenegger has ridiculed U.S. President Donald Trump for his record low approval ratings, just two months after taking office. The two stars have been trading jabs online in recent months after The Terminator actor took over as host of Trump's business reality show The Celebrity Apprentice for its 15th season, which began airing in January. 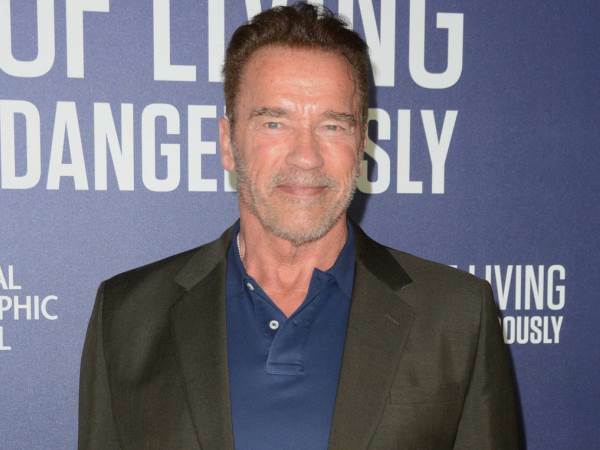 The revamped show, for which the billionaire property mogul-turned-leader is still credited as an executive producer, failed to draw an audience, and earlier this month, Arnold declared he was quitting the gig after just one season as a result of Trump's constant meddling. Now Arnold has taken another shot at Trump after the latest poll from research firm Gallup showed the President's job approval rating had fallen to a new low at just 37 per cent. "Oh Donald - the ratings are in, and you got swamped," Arnold remarked in a video posted on Twitter on Tuesday. "Wow. Now you're in the 30s?" The Hollywood hardman and former Governor of California went on to blame Trump's dismal ratings on his new budget plans, which propose cuts to federal welfare programmes used by America's most needy. "But what do you expect?" Arnold continued. "I mean, when you take away after-school programmes for children and meals on wheels for the poor people, that's not what you call 'making America great again (his election campaign slogan).' Come on." Schwarzenegger then offered to take Trump to a local school in Washington, D.C. to witness for himself how the federal funding is used in the community. "Let me give you some advice: go to a middle school - the Hart Middle School, right in Washington, six miles away from the White House," he added. "I'll take you there, so you can see the fantastic work that they're doing for these children. Let's do it, huh?" Trump, who is usually quick to fire back at critics via Twitter, has yet to respond to Arnold's offer.